Leveraging Social Media to Drive Leads to You? Whether you are a new agency just starting up or an existing agency looking to acquire new clients, you need to start thinking about Social Media and how it can impact your book. Facebook is arguably the most popular social networking site out there. Presently there is approximately 1.3 billion monthly users that spend an average of 18 minutes a day on Facebook. Of that 1.3 billion people, 680 million of them are mobile users. No matter what kind of business you are in, it makes perfect sense for you to have a business page. It is one of the best (and free*) marketing tools out there. What’s even better? 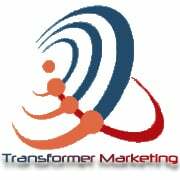 Transformer Marketing’s social media gurus will not only manage your Facebook accounts, but our gurus are experts in driving more views to your Facebook page! Contact us today at 909-547-6212 ext. 5915 to find out more information about our social media marketing plans! Content provided by Transformer Marketing and Facebook statistics provided by StatsiticBrain.com. Is your Insurance Agency Website letting you down? The history of Agency websites. In the old days we thought, let’s build it and they will come. Well, they didn’t really come did they? So, we printed our website URL on all of our marketing materials and advertising. Some of them came, but not as many as we’d hoped. So then we decided that we need to hire an expensive Search Engine Optimization specialist to get us to the top of the organic search results on Google -- and then they will come for sure. So we did that – the SEO specialist redid much of the content, put up all the meta tags, talked about onsite and offsite content and quality back linking, and even dressed up the website. We felt pretty good about our decision and waited with our fingers crossed. Still the phone did not ring with people who found us online. Finally, we purchased expensive paid ads (AdWords) and complained to the SEO specialist, who showed us some ranking reports where we were showing up at No. 3 for our main product. So why isn’t the phone ringing? Shouldn’t a website, some SEO, paid advertising, and drip marketing be enough? We will examine this in great detail in follow-up articles, but for now, let’s stick to websites. The insurance buyer – the all important consumer. Sixty-five percent plan to purchase insurance from a broker or agent in the next year. Broken down by age group, 60% of 25 – 34 year olds prefer contact by phone or e-mail. Thirty percent will buy online. Twenty-one percent will switch providers at renewal time. If these results are any indication, consumers will research their choices before picking up the phone to make a personal lines purchase: Home, Auto, Life or Travel insurance purchase. The study is consistent with trends we have watched during the past decade. Age Target – Boomer, X, or Y? Now, based on that target follow the example decision tree below and see if your website has a clear path to lead your prospect to the goal, which is to call you. If your website doesn’t follow a similar decision tree for every product and service you offer, then you are letting the fish off the hook. The landscape is peppered with examples of what works and what does not work. I am a firm believer in function over form (unless you are in the media, design or entertainment business). Let us examine some very successful examples of this truism. Google.com – As far as websites go, it doesn’t get simpler than Google, and it’s the best example of function over form. Enter your search term, hit go, get results. Google delivers exactly what users are looking for – no bells, no whistles and no other distractions. This is true of Google’s other products as well, such as Google Analytics, Google Insights, etc. All of them function as you would expect, and give you the information you expect to find – no flash animation, or some corny lady walking across the screen, or fancy images appearing and disappearing. Amazon.com – What a great example of keeping things simple, clean, and most importantly, achieving the company’s goal of getting the consumer to buy with as few clicks as possible. Amazon is also living proof of the fact that consumers illustrate the path of innovation for businesses. Bershirehathaway.com – Perhaps the most interesting example, this website has not changed in more than a decade. In fact, it really is a simple page with bland links to investor information and properties. The bottom line? Give readers what they want in the shortest possible time, and do it well, consistently. When it comes to the serious business of insurance, anything other than helping your client or prospect find what they need is a distraction. Steer clear from expensive flash animation and unnecessary videos and animations. An independent agent invests in relationships. So does his/her client. Why do clients continue to use independent insurance agencies for such products as Auto insurance when they could just as easily go to direct writers? Because they want an advisory relationship with you. They might window-shop online but would prefer to talk to someone before they make a decision. The exception category might be the Gen Y Mono-Line Auto prospect. Why then is your personal lines client attrition getting worse? If you survey your clients you will find that the reason they leave can almost always be traced to the fact that one or both of you stopped investing in the relationship. Your ex-client no longer saw you as a credible and trustworthy expert and/or no longer felt you were available when they needed you most. A website alone will not fix this, nor will SEO. Social media can help to a great extent, but the single most important change you can make is to re-invest in your relationships. This doesn’t mean that you get in your car and meet every renewal client. Instead, it means that you need to connect with your clients in the ways they prefer to connect with you – phone, in person, fax, social media, email, local events, giveaways, and so on. Have you asked your clients and prospects how they would prefer to stay connected with you? And most importantly, does your website reflect this as an imperative objective for your agency? Does your website reinforce this urgency to your clients and prospects, in plain language and with the applicable response mechanisms displayed prominently? When you can answer in the affirmative to these questions, you will go a long way toward employing your website powerfully: As a vital component of your overall outreach efforts. According to a recent (June 2011) research report from Flurry, where 85,000 participants were surveyed, consumers spend more time online via mobile apps than they do on traditional desktop/laptop and mobile web platforms. The average user surveyed spends 81 minutes on their mobile device and around 74 minutes on the web by other means. That’s 10% more device time than traditional web time. Of all this time spent on their devices, users spent about 47% playing games, and 32% using mobile social network apps such as Facebook, Twitter and LinkedIn. These users also spent 10% of their mobile time reading news content. Flurry also found that 14 of the 74 minutes (of traditional browsing) are spent on Facebook, Twitter and LinkedIn. The trend is clear. Mobile usage is growing rapidly, about a 91% uptick since 2010, and trending toward more substantial content than just games and entertainment. People are getting serious about using their cell phones for social networking, and for connecting with people and businesses. Hubspot.com’s 2010 Inbound Marketing Study found that 71% of internet users read blogs. Ideally, your agency blog should be a part of your website (integrated). Your blog projects the personality of your agency, and it should be updated regularly. By nature of the frequency of updates, blogs rank higher than static website pages. I will expand on blogging in a follow-up article, but for now, if you do not have a blogging strategy, you are reducing your chances for success. Nielson Online and similar studies report that 81% of all consumers read reviews before making buying decisions. This is perhaps the most important trend today. People are taking reviews and references very seriously, as information is more freely available. The plain old testimonial is not enough anymore. You need a section on your website that is dedicated to testimonials. The simplest way to do this is to use Google Local or Yahoo Local Business Reviews. A word of caution: You could possibly get a negative review together with the positive reviews. Be prepared to handle them in a professional manner, and to resolve the reviewer’s issues. Often, when you resolve their issues satisfactorily, they will change their review from a negative to a positive one and become an enthusiastic advocate for you. The response from typical agency owners is mixed at best, with some key observations in common: Unfulfilled expectations and a lack of quantifiable results. We’ve looked into the evolution of the independent agency website during the past several years and concluded that technological and design innovations alone have not improved engagement with your audience of prospects and clients (a wrench cannot loosen a fastener by itself). We have identified the demographic trends that affect not only the “what” but also the “how” and “why” of effective website deployment. And finally, we have encouraged you to examine the role that your website plays in your agency’s overall marketing strategy, with key mission-related questions that should help to remove any barriers between your agency and its audience. Remember: Your website is not the relationship. It is a two-way communication hub that helps you – and your clients and prospects – to grow and maintain the relationship.